Welter Heating and Air Conditioning has been serving families in the St. Paul area for over 100 years. Welter Heating and Air Conditioning EPA-certified professionals are experts in the furnace repair St. Paul MN. Learn more about air conditioning repair for all cooling types and models from Welter Heating. 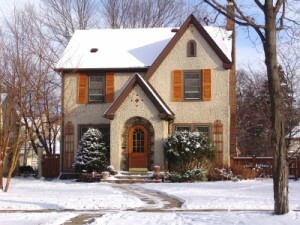 The historic homes in Saint Paul may experience unique heating and cooling challenges throughout the year. Single pane windows; lack of insulation; or an old, inefficient heating or cooling system can make older homes drafty during the winter and stuffy during the summer. Welter Heating and Air Conditioning can ensure your current Saint Paul home air conditioning and heating system is working efficiently by offering preventative maintenance or repair. Or, if you feel like it is time to replace an old, inefficient furnace or upgrade from a window A/C unit to a ductless central air system, then Welter Heating and Air Conditioning can provide you with the right products to ensure the comfort of your home for years to come. We promise when you call Welter Heating and Air Conditioning, you will reach a trained and certified professional able to answer your questions and provide you the service you are looking for. During the winter months, our team is on call 24-hours a day for emergency service. We can assure you that we are devoted to making your home comfortable and providing great quality work for Saint Paul families. If you are looking for prompt, professional service in Saint Paul or surrounding Twin cities areas, then contact us online or call 612-825-6867 today!